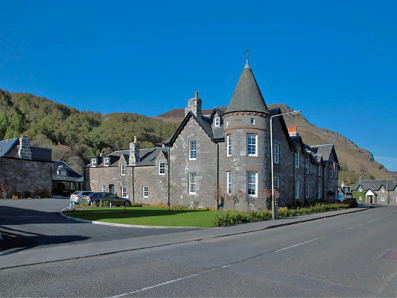 Dunalastair Hotel set in the heart of Kinloch Rannoch, was first converted into a hotel at the turn of the last century and originally constructed as a Highland Sporting Lodge. In 2014 the hotel started its multi-million pound refurbishment; creating 32 luxury suites along with an onsite cafe and refreshment area. An important aspect of the hotel managements refurbishment plans was to incorporate the very latest access control technology into the new venue, allowing the staff complete flexibility in the management of guest checking in and out, monitoring movement around the premises, together with the ability to provide real-time cancellation and logging in facilities. Securefast’s state of the art OnDoor Smartlock Wireless Network system provided the perfect solution, incorporating a dedicated server in the hotel reception area with a direct computer link to the Windows based software ASL957 Management system. This user friendly system allows the staff to easily programme the MiFare cards for the staff and guests with access to doors, groups and areas with time and date validity and shift control using the wireless dongle. Each of the 32 bedrooms were fitted with the ASL951BW wireless locks in a brushed stainless steel finish which give a single operation on the inside for easy egress and card control from the corridor side with a key override facility should it be needed in an emergency or if the battery power is low. Each of the individual locks is wirelessly connected to five ASL95BASE base stations positioned around the hotel so that real-time updating is possible. The Base Stations are connected to the server in the reception using Ethernet cables. The Mifare cards have been printed with the hotel logo and give the hotel the flexibility to be able to link to other applications if needed in the future, such as cashless vending, etc. as these types of cards provide a multi-application memory to store several services on the same card. The system also has the capability of interfacing with other leading brand PMS systems therefore giving the hotel flexibility and the opportunity to expand or increase the use of its cards in the future. 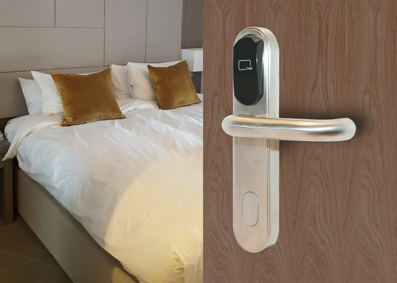 In addition to controlling access to each of the bedrooms, the Smartlock system also controls the entrance doors into areas of the hotel, with eight ASL950 Control Boxes connected to Smartlock Wall Readers and electric releases. Since its grand re-opening in May 2017, the staff and management of the hotel have reported that the whole team are delighted with the Smartlock system, especially with the ease of use and total flexibility that the system offers.